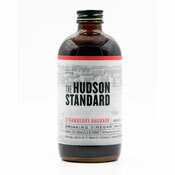 Our friends at The Hudson Standard have done it again. 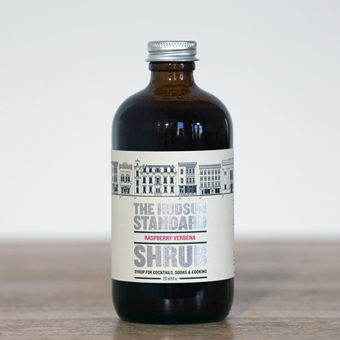 Their new, limited-edition shrubs and switchels are guaranteed to elevate your cocktail experience, while impressing anyone lucky enough to belly up to your at-home bar! It's hard to imagine that so much flavor can come from four simple ingredients, but here it is. Bold, fresh raspberries and the lemony brightness of verbena are combined with organic apple cider vinegar and organic sugar for a zippy pairing with gin, vodka or sparkling wine. 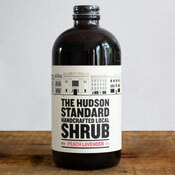 Mix 1 part shrub to 7 parts sparkling water for a refreshing shrub soda. Raspberry Verbena Shrub is versatile enough to use in the kitchen, too.....it makes one fantastic topping for vanilla ice cream!